Art auction houses like Christie’s and Sotheby’s have been appraising and selling fine art for centuries (both were founded way back in the 1700s!). This tradition of art auctioneering has changed tremendously over time, but perhaps the most significant change to the process occurred recently at Sotheby’s, which recently started streaming its art auctions online. 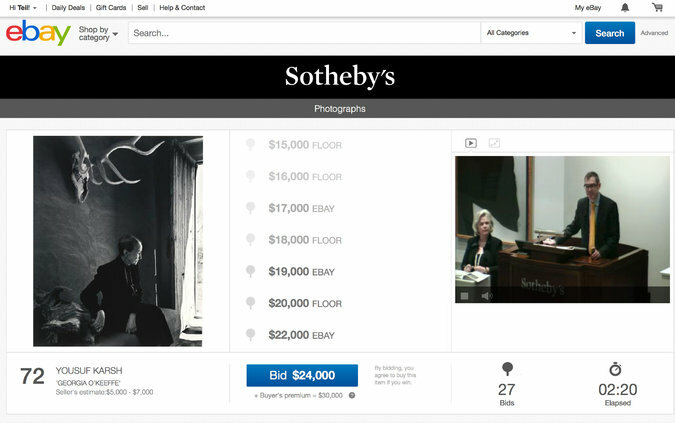 It comes as little surprise that Sotheby’s is innovating the way that art auctions are held. In 2014, hedge funder Daniel Loeb won three seats on the auction house’s board, which subsequently influenced the direction that Sotheby’s was heading in regards to its newfound business strategies. Indeed, fine art meets big business at Sotheby’s, which Grimes aptly dubs a “blue-blood auction house” in his recent coverage of its relationship with eBay. 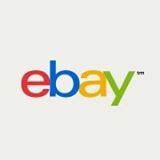 Reportedly, Sotheby’s tried to partner with eBay back in 2002, but received a lackluster response. Only time will tell if this partnership proves to be an innovative approach to art auctions, or another business strategy that further divides art collectors.